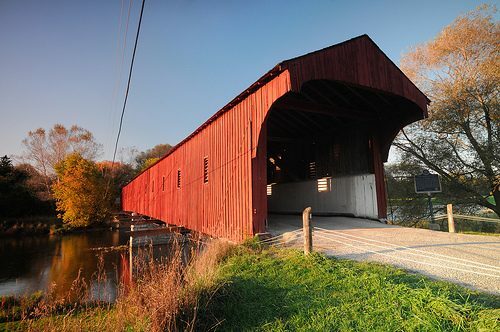 Also known as The Kissing Bridge, the West Montrose Covered Bridge is Ontario’s last remaining covered bridge. Located in Woolwich Township, the bridge has a 198-foot span across the Grand River. Built in 1881 and recognized as a historic site by Ontario’s Archeological & Historic Sites Board, visitors come from all over the world to experience this picturesque and unique bridge. The roof over the bridge protects the large timbers and trusses from the elements; this is also the reason the bridge is still standing after more than 100 years.